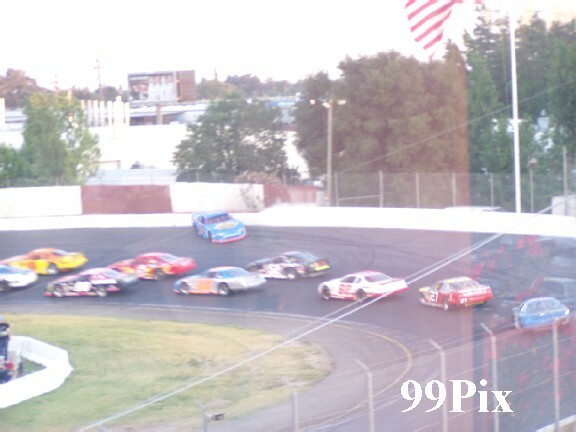 STOCKTON 99 SPEEDWAY, SATURDAY, JULY 3 -- In front of a screaming, standing room only crowd, Sacramento’s Jason Fensler, #22, and Pacific Grove’s, #9, Dave Byrd battled it out in the HAVOLINE Tri Holiday Western Late Model 100-lap NASCAR main event. Byrd, running in his usual outside grove, used skill -- and restarts -- to take the lead from Fensler several times. 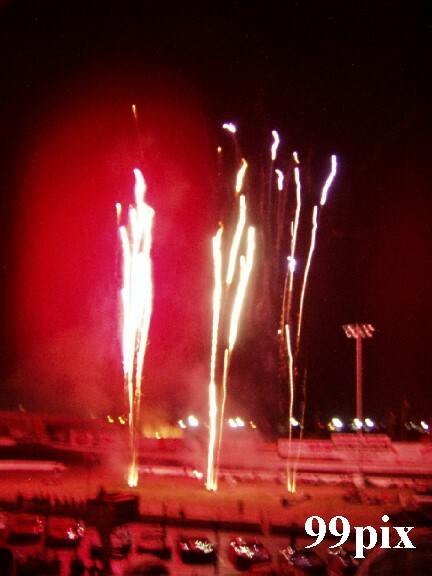 In the final 10 laps, there were no restarts, and Fensler was able to overpower Byrd for the win. 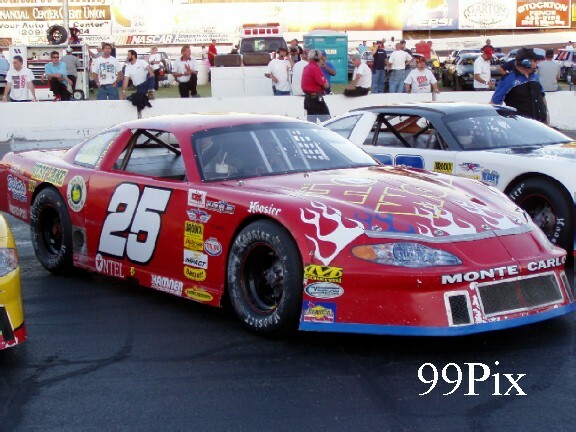 In the NASCAR DODGE Weekly Series 20-car race, Granite Bay’s #27, John Moore started at the pole. 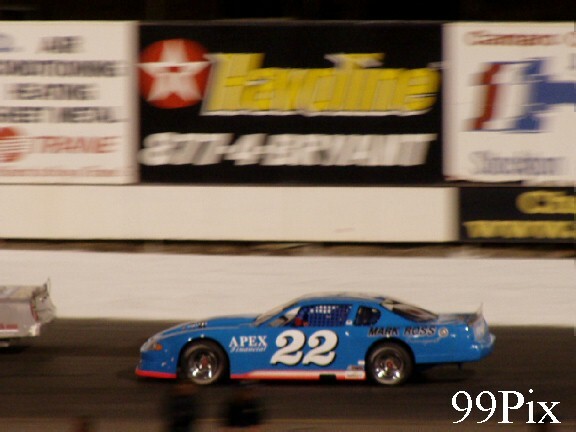 Byrd flew into the lead in the first lap. 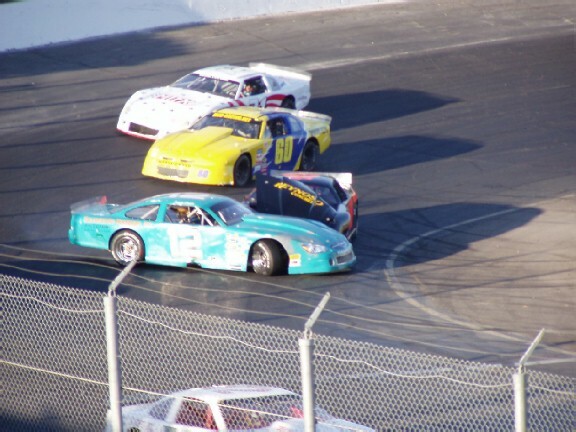 The first yellow flag waved in lap-4, Fensler began nipping at Byrd’s bumper on the restart. By lap-27, Fensler had taken the lead for the first time, adding distance between himself and Byrd in the straights and in the turns. 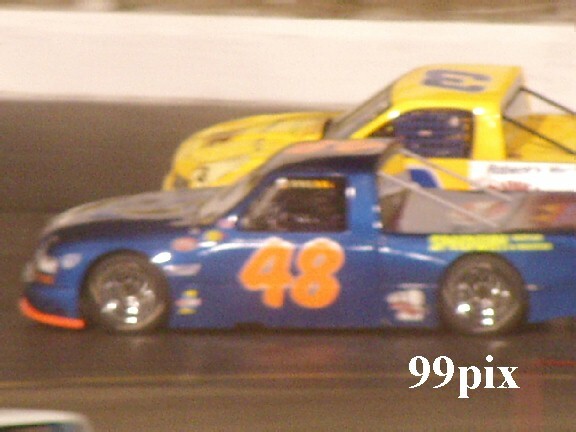 In lap-41, Byrd capitalized on a move that Lodi’s Robert Knittel made in the backstretch, and regained control of the race. 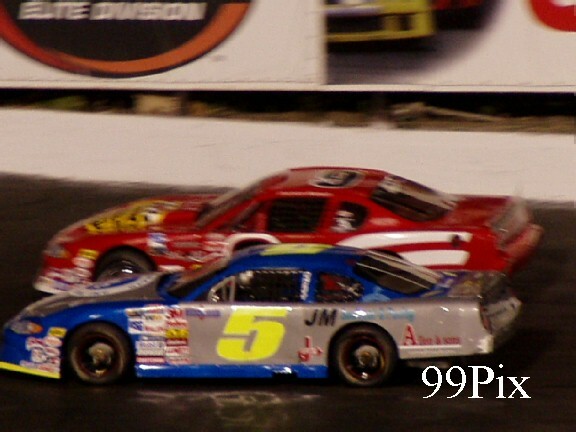 Two laps later, Fensler moved into the middle of the track, came up on Byrd, who was running in the outside, and forced him to stay there until taking the lead. In lap-77 Byrd retook the lead out of turn-4. 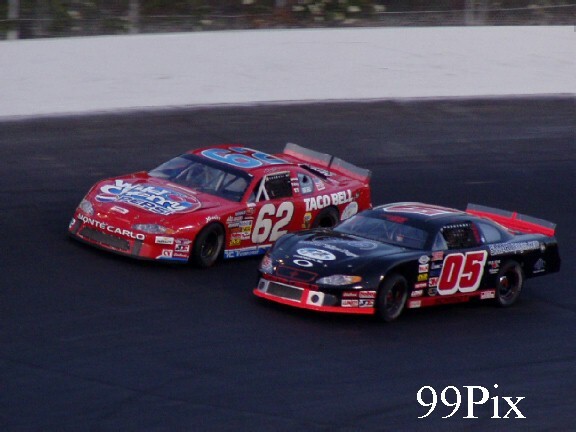 He and Fensler then spared in a neck-and-neck battle for first and second through lap-84. 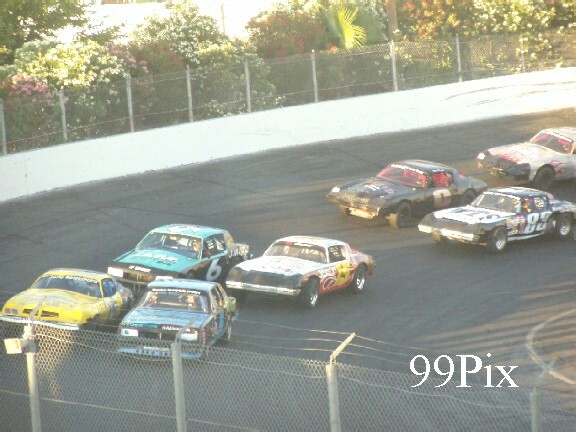 Then, Fensler retook the lead on the backstretch, holding it through the checkered flag. The race was Fensler’s first in three weeks, he has been competing in the South West Tour. 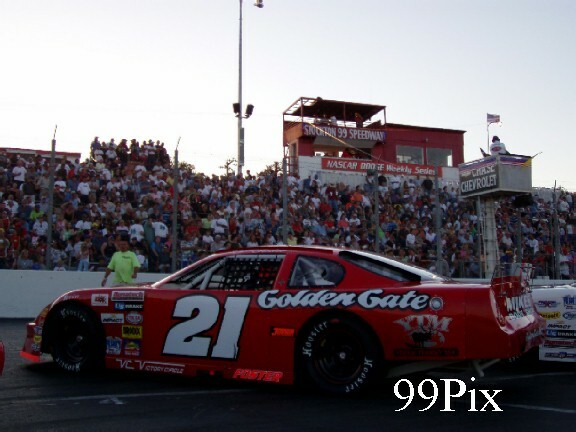 On Saturday, July 31 Fensler will return to Stockton 99 Speedway for the AUTO ZONE Southwest Tour 125-lap Championship sponsored by JM Environmental. 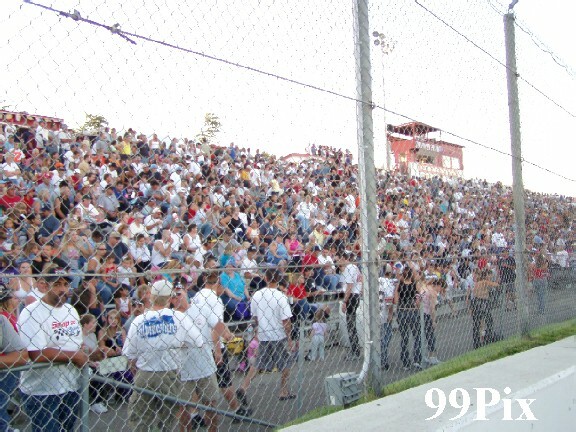 Adding excitement to CL BRYANT sponsored track were a number of the Western Late Model division’s regular players, and some visitors. Among the visitors was Roseville’s, #6, Shannon Mansch. She, the race’s only female competitor, started in the number 8 slot. At the checkered flag’s waving, she had maneuvered into fourth. Stockton’s Pete Anderson Jr., #5, finished in third and Turlock’s, #11, Chris Monez came in fifth. 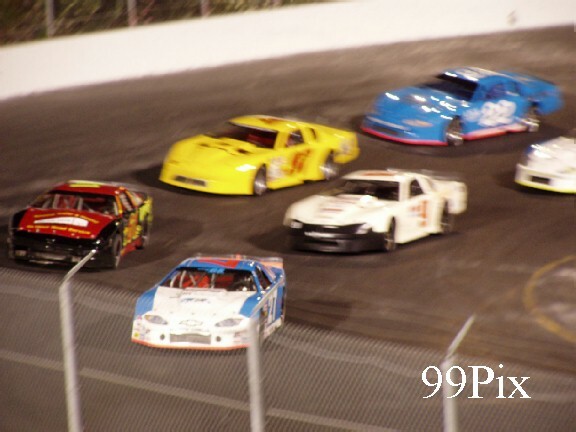 The heart-and-soul racers competing in the Pure Stock division’s 30-lap main weren’t going to be outdone in terms of providing excitement to Saturday night’s crowd. 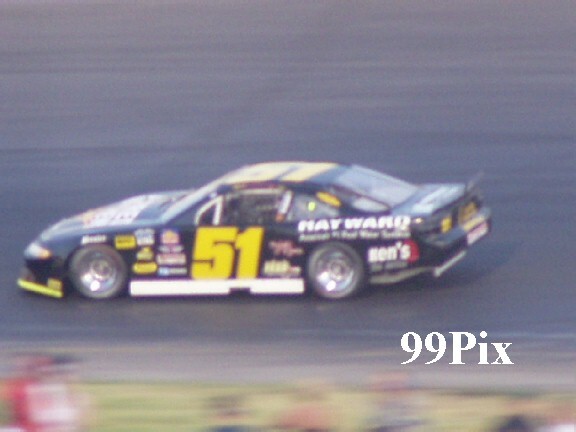 In lap-8, Stockton’s, #66, Ken Ratcliff pumped up the crowd for the first time in the race when he made a risky, inside squeeze play with contact and moved into first. In lap-11, a multi car spinout heading into turn-3 drew yellow. 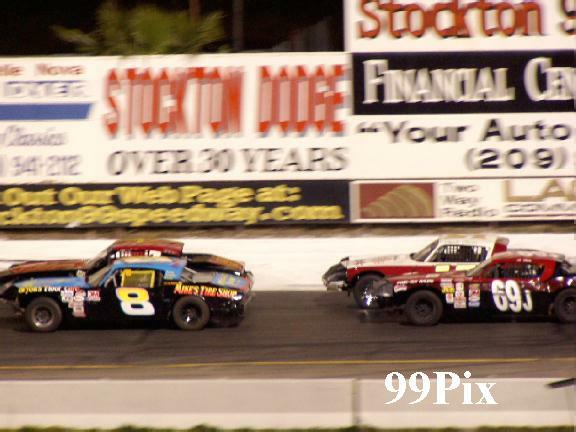 At the green Ratcliff, his X-Fest teammate from Modesto, #15, Charlie Clawson, and Stockton’s Jim Vosberg, #69, were lined up in first, second and third. By lap-13 Clawson took the lead and held it through to the end. Ratcliff and Clawson made their ways from midway, through the field to take the first and second positions. In lap-25 Ratcliff had to drop out of the race when his car lost power due to a blown ignition module. 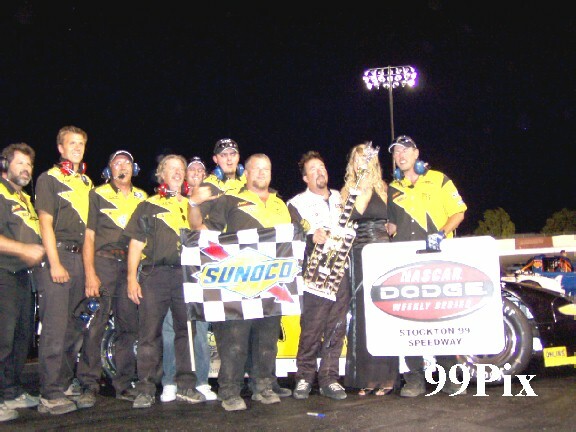 Manteca’s Steve Hall, #3, took second, Stockton’s Brian Vosburg, #89, took third, Valley Springs’#21, Tom Bolin took fourth and Lodi’s David Sullivan took fifth. 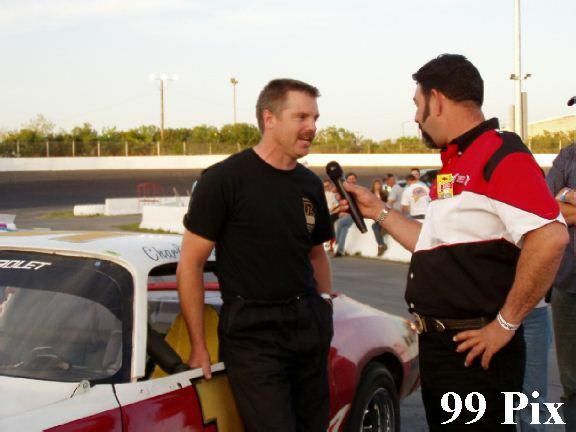 Campbell’s Chris Drysdale, #31, took the top qualifying time for the third week in a row, and was coming off a clean sweep of the division from the Saturday, June 19 race. 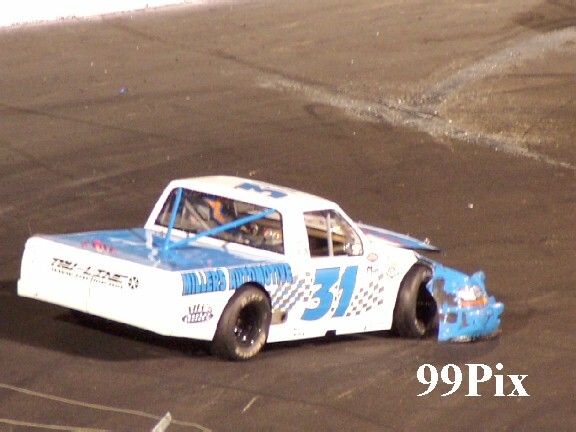 But trouble on the track in the 30-lap main held him to a third place finish. Lodi’s Mike Curry, #48, took first, Riverbank’s Todd Lewis, #2, earned second Salida’s, #76, Dave Daniels took fourth and Saratoga’s Carrie Miller, #27, earned fifth. Wild West Shootout series points leader, #51, Rick Ruzbarsky, of Tracy, from the number 2 position, shot into the front of the pack on lap-1. He maintained the lead through to the checkered flag. Ruzbarsky’s win wasn’t without challenge. Spinouts and no-injury collisions marked the 20-car race. In the final four laps Ruzbarsky’s ability to maintain the lead was tested by Anderson’s, #21, Ryan Foster, who ran in tight with him, even making contact with him in the final lap. 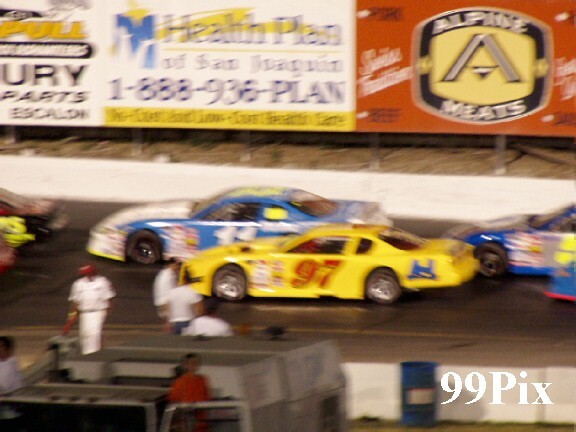 Escalon’s#63, Eric Holmes also provided race fans with some great action. Holmes started out six deep. By lap-62 he had worked his way to fifth, coming out of turn-3 he made a successful play for fourth, 13 laps later he crawled into third where he finished the race. Foster ended with second. 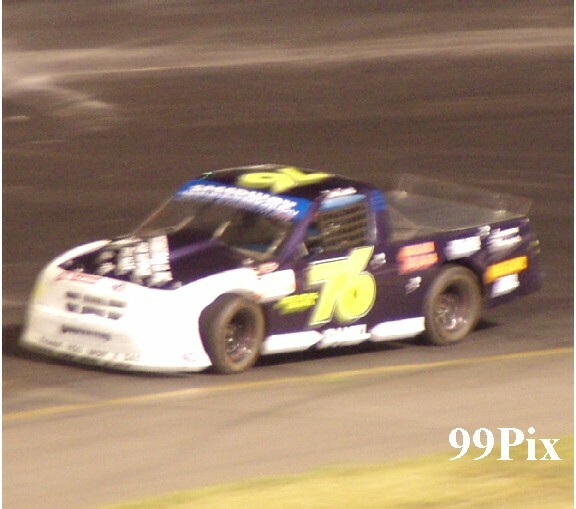 Valley Springs’, #02, Tracy Bolin took fourth and Roseville’s, #05, Eric Schmidt earned a fifth. 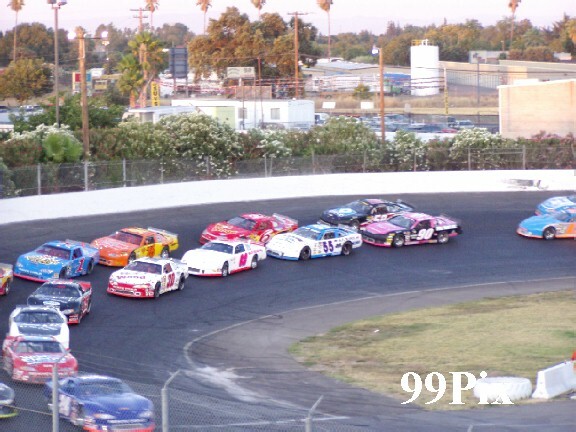 On Saturday, July 10 Western Late Model, Pure Stock, Grand American Modified, Pro-4 Trucks and Legends divisions return to Stockton 99 Speedway for DOUBLE POINTS Battles!!. 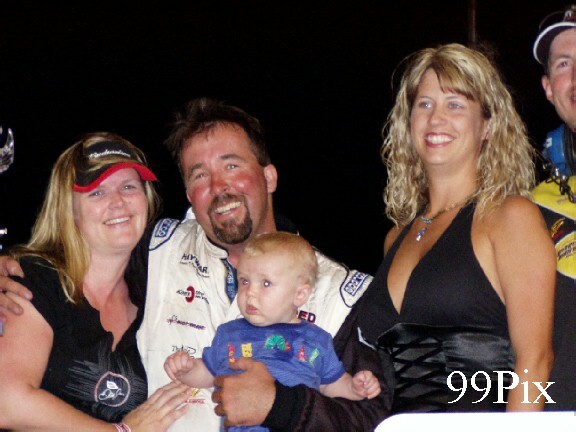 STOCKTON -- Rick Ruzbarsky finally took the checkered flag at Stockton 99 Speedway, and he was going to make sure everyone in attendance on Saturday night knew he was excited about the win. 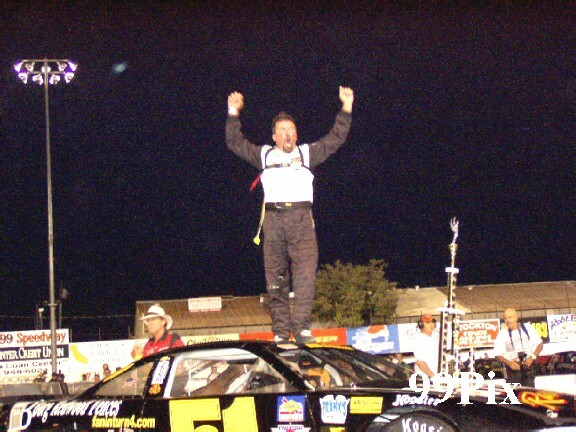 Moments after winning the Supermodified Racing League's Wild West Shootout race, the #51, Tracy driver jumped out of his car and pumped his fist. 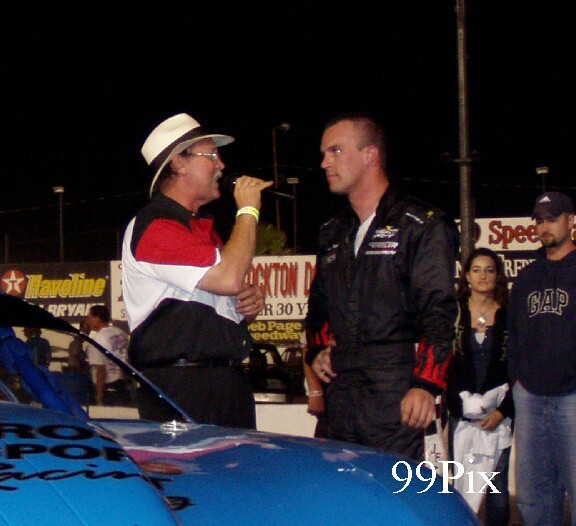 He then hugged his crew members, then grabbed a microphone and screamed "I love racing at Stockton!" He finished by imitating Indy Racing League driver Helio Castroneves by climbing the fence on the front straightaway. The crowd of 4,466, the largest since 1990, reacted to his enthusiasm with a loud ovation. Ruzbarsky finally made his way to the pit area and accepted congratulations for finally winning in Stockton. "I wanted this so bad, I can't even explain it," Ruzbarsky said. "I've been trying to win at Stockton for three years. We've come close, and we finally did it." 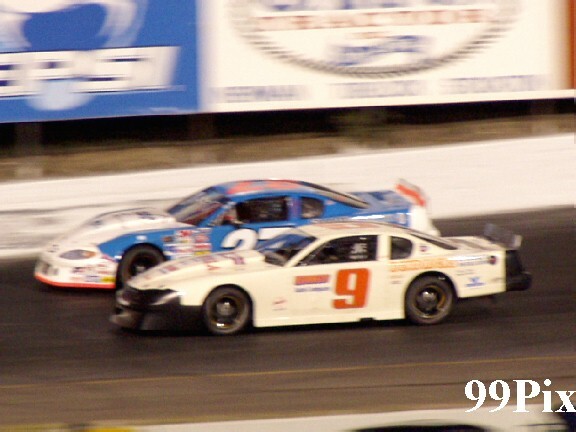 Ruzbarsky's SRL won the first of two scheduled 100-lappers at Stockton 99's traditional holiday program. 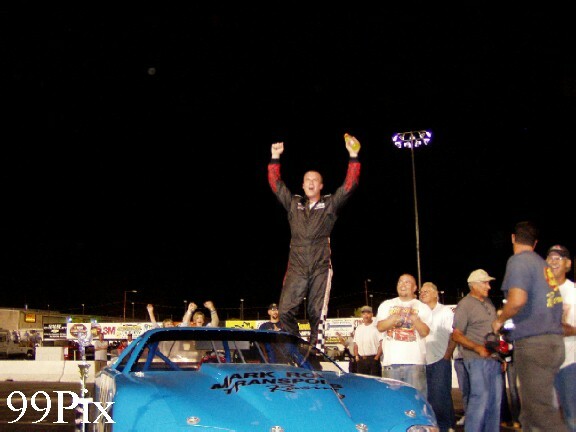 The Western Late Model Firecracker 100 was won by Jason Fensler, #22, of Wilton. 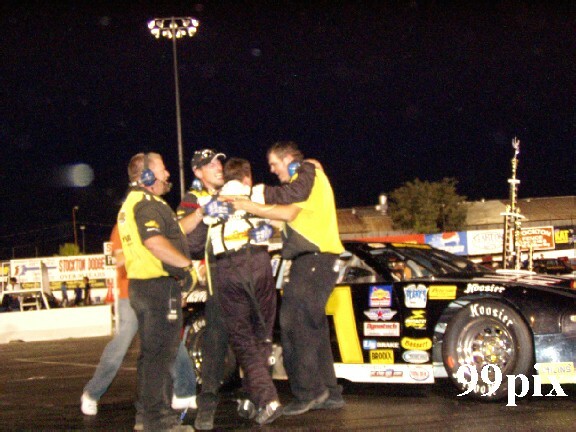 Ruzabarksy is the Wild West Shootout leader, but he had not won any of the first seven races of the series. 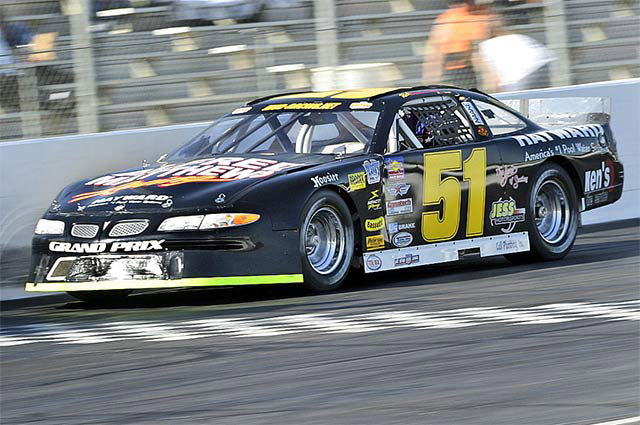 He took command of Saturday's event on the first lap, and held off a challenge from Ryan Foster of Anderson late in the race. 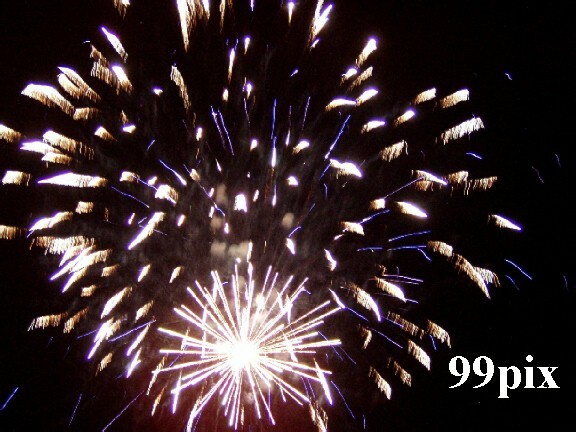 Then it was time to celebrate. While most of it was spontaneous, he admitted one part of it was preplanned. "Yeah, I did plan to jump the fence if I won," Ruzbarsky said. "Truthfully, I forgot to do it, but then a friend reminded me." Foster, #21, had his chances, but could never set up Ruzbarsky for the pass. 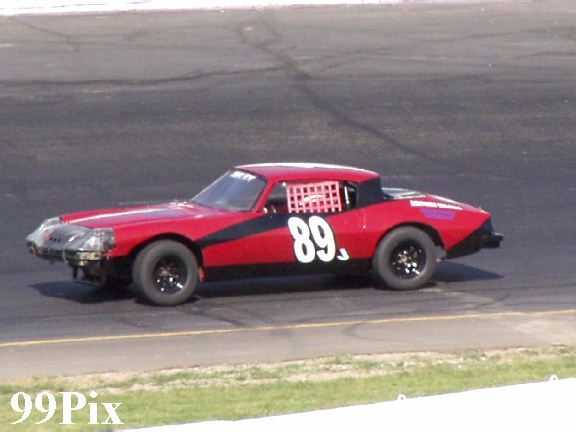 He tried to get him on lap 84 when he moved halfway up Ruzabarsky's front door, and on the final lap he was able to pull up again coming out of the final turn of the race. "I wanted to take him, but it's so tough to pass here," Foster said. "It's a good win for Rick. He's a good driver and he did a great job." Foster took second, and Eric Holmes, #63, of Escalon was third despite crashing during afternoon practice. 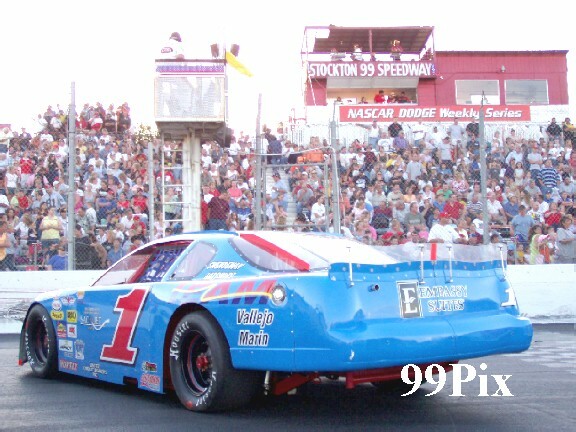 Holmes is racing regularly on the NASCAR Southwest Tour. "We were just out experimenting, plus it's always fun to run these races," Holmes said. Tracy Bolin of Valley Springs was fourth and Eric Schmidt, #05, of Roseville was fifth. 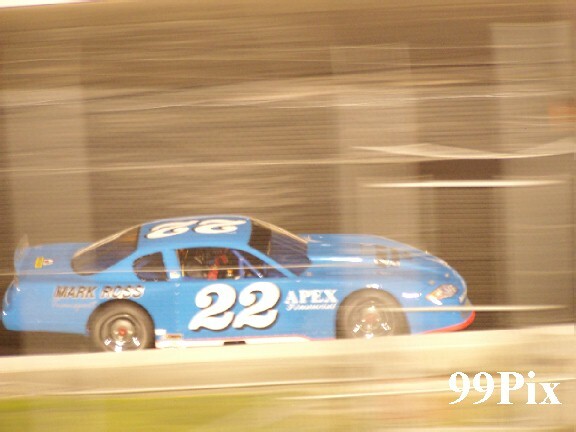 Wes Miller, #25, of Delhi was the fast qualifier at 13.932 seconds. 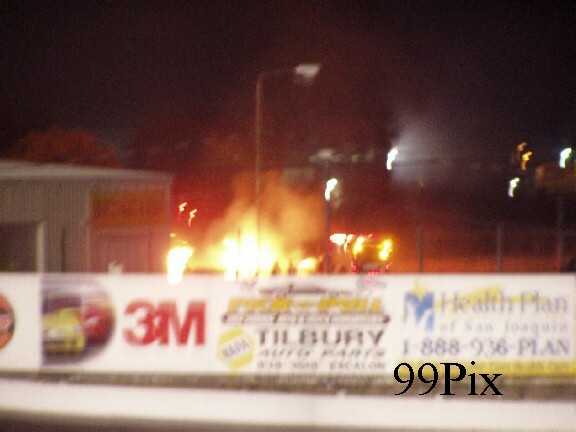 During the fireworks display, a small grass fire started in a field across the street from the track. The Stockton Fire Department responded quickly and put the flames out.